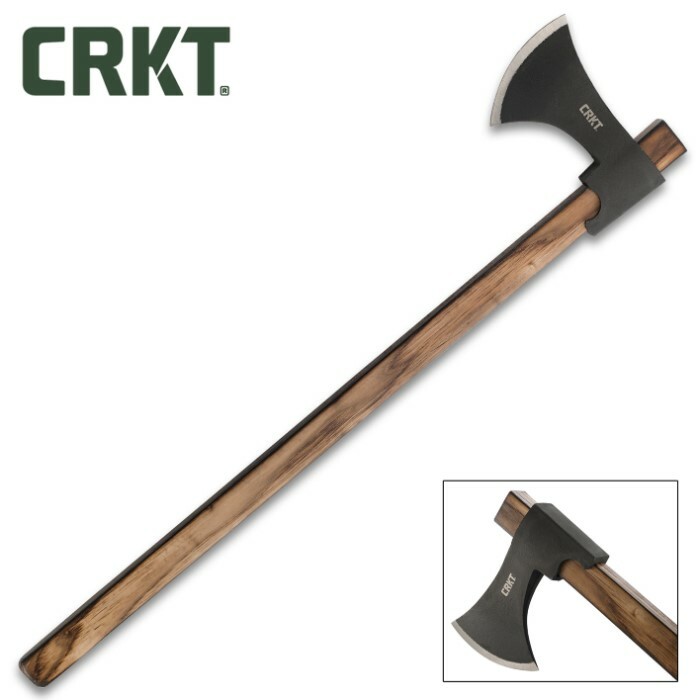 CRKT Cimbri Camp And Tactical Axe - Forged 1055 Carbon Steel Head, Corrosion-Resistant, Tennessee Hickory Handle - Length 25 3/4” | BUDK.com - Knives & Swords At The Lowest Prices! Ancient form meets contemporary function. 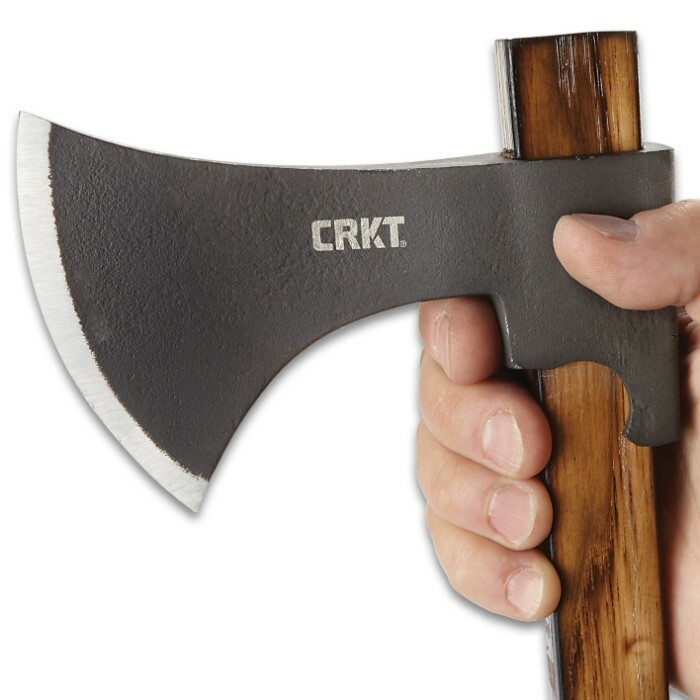 With deep roots in 8th century weaponry, the Cimbri two-handed camp axe mimics lines, balance, and the heft of its medieval counterpart. 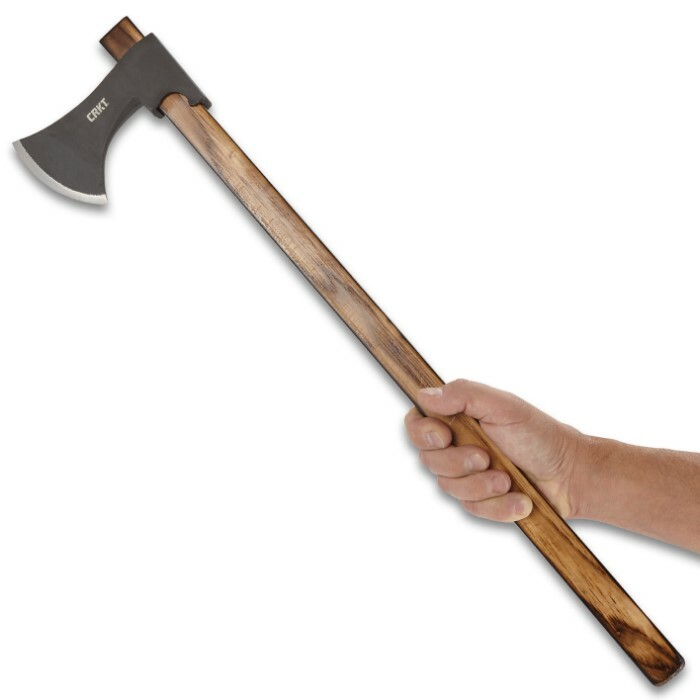 But unlike the Frankish axe, its primary adversary is a stout log. 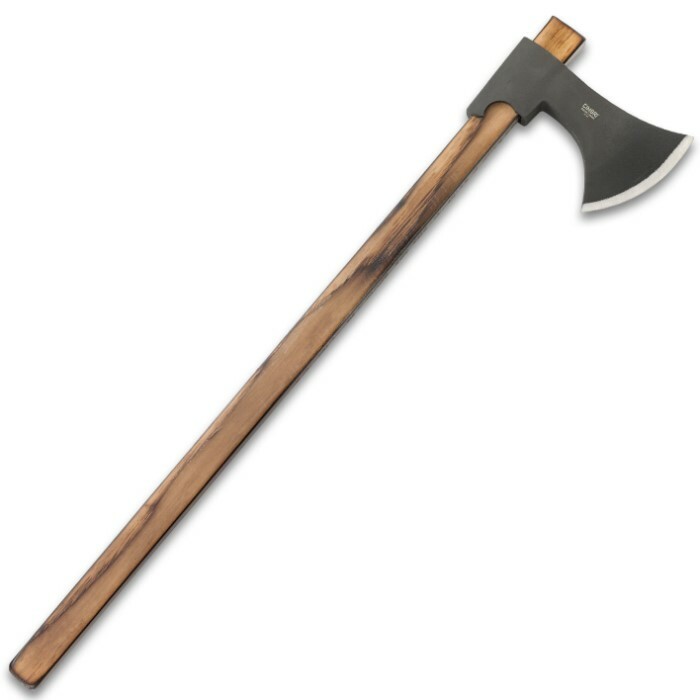 Veteran and designer Elmer Roush was perusing the weapons collection in the British Museum, when he was struck (not literally folks) by an ancient Frankish axe. Inspired by the flawless intersection of artful lines and powerful usability, he set out to create a modern camp and mission-ready version and name it after the Germanic people that challenged the ancient Roman Republic. 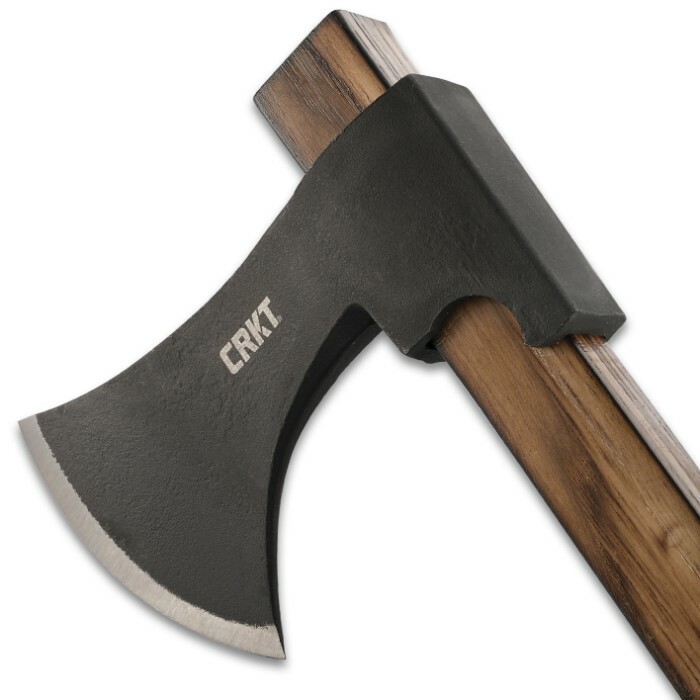 The result was a hot-forged 1055 carbon steel axe head coated with a black magnesium phosphate for corrosion-resistance and sculpted for a balanced swing and a deep bite. Paired with the ergonomic Tennessee hickory handle, it’s ready to do right by its heritage.